Do you hesitate to take calls from unfamiliar numbers? Do you ignore, or even worse, delete emails from people or organizations you owe money? Does an unfamiliar stranger knocking at your door on Saturday morning set your heart fluttering? If you are deeply in debt, but still have an income, it is time you freed yourself from the yoke of inappropriate debt. Today, we discuss how to take the bull by the horns and become debt free. CLICK HERE TO WATCH VIDEO. A person who is heavily in debt is usually under a lot of stress. They find it difficult to focus at work and when not working, cannot relax or have fun. In an attempt to relieve the stress and achieve a relaxed state, many end up abusing alcohol and other drugs, further deteriorating their financial situation as money that could have been used to pay off debts is diverted. They lose self-esteem, self-confidence and ultimately self-respect. If you are one of the thousands of people that find themselves in a financial black hole because of excessive credit card, bank loans, sacco loans and other debt, there is hope. A good debt reduction plan can get you out from under your debt. This method isn’t a quick fix, and it will take time and determination, but it can work for you if you work on it and your debt levels are not at disaster levels. CLICK HERE TO WATCH VIDEO. This method of debt reduction has nothing to do with consolidation loans, home equity loans, etc. This is all about taking control of your finances, about setting a realistic budget and sticking with it. It will require you to be disciplined with your finances and to stop making frivolous purchases on credit for things you can’t afford and don’t really need. So many people have credit cards for ’emergencies’ but the problem is that buying dinner for a whole party, upgrading your wardrobe and buying a new big screen T.V. really aren’t emergencies. Few people have the willpower to say no to these temptations and because of that they find themselves in over their heads with excessive credit card debt. Here are a few basic steps you need to take in order to re-take control of your finances and be completely debt free. You don’t have to stop once you’ve got your credit cards paid off either, you can continue until your car loans and ever your mortgage are completely paid off. Think of it, how great would it feel to not have any debt at all? 1) Before you can be debt free you need an accurate picture of your current situation. No matter how overwhelming it may seem you need to make a list of every debt you have. Include interest rates, balances, etc. You also need to add your personal expenses such as rent, groceries, utilities, phone, school fees, petrol etc. The idea is to know exactly what your monthly expenditures are. Once you have all this listed you will need to make a detailed monthly budget. Without leaving anything out, make sure you include payments to all of your debts along with all of your normal bills. If you are not able to fit payment to all the debts on the budget, it means that you make budget cuts. Go through each budget item and consider ways of reducing it. This may mean giving up some things but it is for an important cause – your freedom from debt. Make sure that the budget cuts enable you to make the required payment to all the debts and still leave you with some free money. 2) Pick out the debt with the highest interest rate. Now instead of just paying the minimum payment on this debt you will pay the extra money in to it. How much extra? As much as you can. You already have a complete budget developed where you are making payments to every debt you owe, now you just have to take whatever is left over and apply it to this one debt. If you can add even a small amount to the required every month you can dramatically decrease your debt. 3) Once that first debt is paid off completely take the extra money you were paying on that debt and apply it to the next debt with the highest interest rate. Remember you are still making minimum payments on all of your other debt. 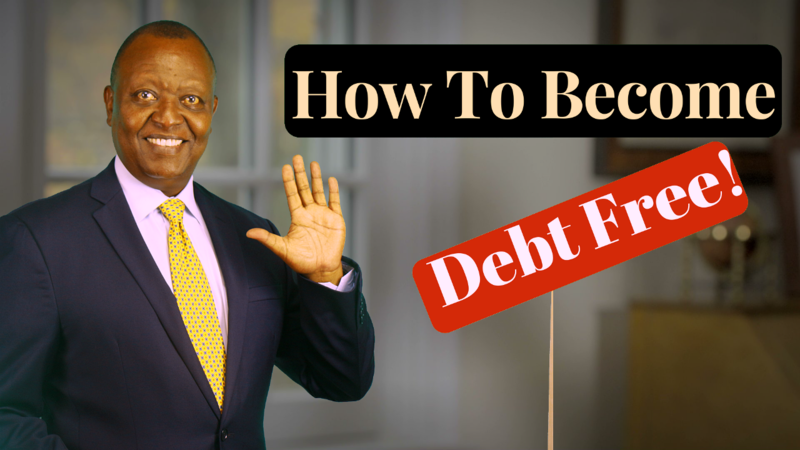 If you follow this method you will find yourself debt free sooner than you would have expected and it works so long as the debts have monthly reducing interest. It won’t happen overnight and how long it takes will depend on how much of the principle you pay down each month, how much total debt you have, and how disciplined you are. But this method has worked for thousands and it can work for you too. This is the best debt reduction plan because you aren’t just ‘rearranging’ your debt like you are with debt consolidation loans or other types of loans, you are actually paying it off completely. I hope this helps you see how you can wipe out your debt. Please comment and tell me know your experience with loans. Thank you so much. I wish to get more information based on my current Debt situation. This is helpful… But tricky at times as you need to meet all other needs with that, do the trend has been repay and borrow again. Thanks! For more information about budgeting and other personal finance tips, subscribe to my Youtube channel, Moneyskills with Manyara Kirago.